We are noticing an issue with the OE electrical connector on late model Nissan vehicles. The electrical connector, on the wiring harness side that plugs into the compressor, becomes loose after being separated and plugged back in. Pay close attention to the wiring harness when connecting to the new compressor, making sure you have a good connection. Above is a list of gpd compressors that customers have noticed issues on following installation of the new compressor. The OE main harness connector will fail to make contact or the vehicle will return several days after installation of the new compressor. The AC will not perform due to bad contact of the OE connector to the new compressor plug. Please check this connection after compressor installation. 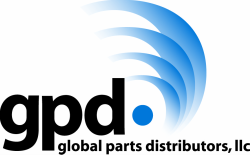 If you need a new connector the gpd part number is #1712339.